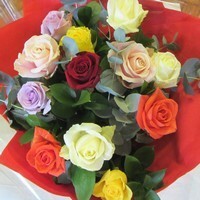 ﻿ The Flower Shop, Bushey & Stanmore Bouquets. Always a large selection of the finest flowers from the Dutch Auctions and English Growers. 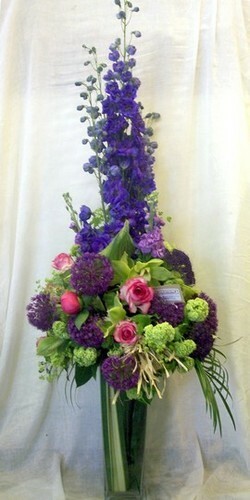 A riot of summer flowers, delphiniums, roses, peonies, alliums, stocks and viburnum arranged in a tall glass vase. All the recipient needs to do is enjoy! Can be ordered throughout the year but please understand the flowers will change to reflect the season. Hand ties are delivered and can be left in the water bag. To maintain stability these arrangements are not tall. Perfect as a gift delivered to a hospital or work place. Tied for Vase is arranged ready to go in a vase. The stems are left long ready to be trimmed for the vase. 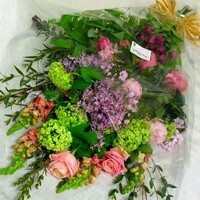 Tied Posies can be pretty and delicate or short and fat, your choice. Need to be placed in a vase. 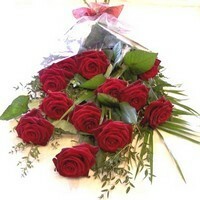 Bouquets are the most traditional of flower gifts and still among the most impressive. 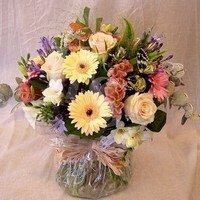 A lovely mixture to be arranged by the recipient in one or many vases. 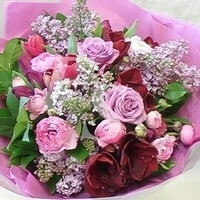 Bouquets are the most traditional of flower gifts and still among the most impressive. 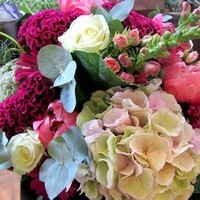 A lovely mixture to be arranged by the receipent in one or many vases. An arrangement of hydrangea's, zantedeschia (calla lilies), aspidistra leaves and steel grass supplied in a vase. 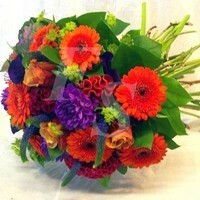 You may wish your floral gift to include your favourite flowers and be in another colour. Please use the 'Any Requests' text box to note these requirements.